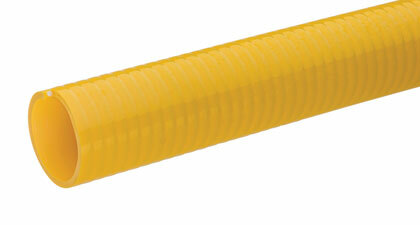 Tigerflex™ Solarguard™ SG™ Series hose, is made with a specially formulated material to resist the cracking that can result from exposure to damaging UV light. Tests show the Solarguard™ material retained 97% of its original tensile strength after prolonged UV exposure. Its smooth outer cover provides a smooth surface for banding and is ideal for use in many agricultural, irrigation and construction applications. Click here for more info.